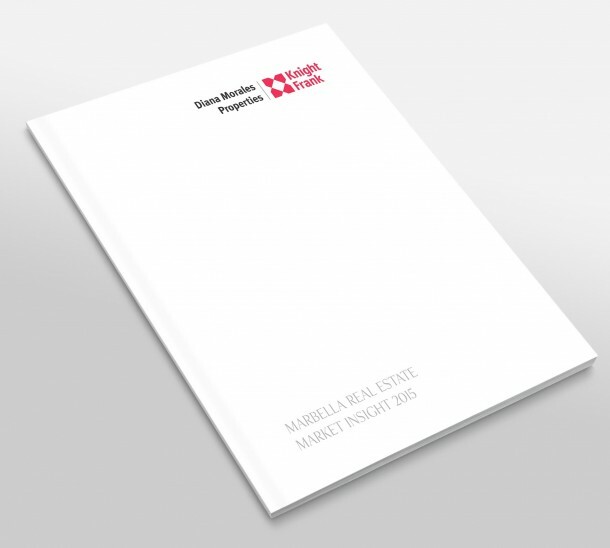 In our latest market report we look forward to a year with prospects for continued growth and development, in which Marbella seems set to continue on the path of recovery against an international background where many things may change but the strength of the luxury market will continue to grow. In a previous market report we reviewed the ‘euro crisis’ of 2011-2012, a period of instability that raised doubts about the future of the currency and the euro zone in general. At the time, the uncertainty affected investment and consumer confidence, and ultimately delayed economic recovery, yet eventually the European Central Bank gained control of the situation, stability returned and we seemed set for slow but gradual recovery. As a new year begins one cannot help but experience a sense of déjà vu; the euro is once again under discussion as it depreciates against other main currencies such as the pound, dollar and Swiss franc, the euro zone economy is flatlining and the popular reaction to austerity measures prompted by public debt have once again drawn Greece and Spain into the limelight. The fear of high interest rates on sovereign debt and the inability of Mediterranean countries to repay them has broadly dissipated, but the intrinsic divide within the European Union between those in favour of fiscal austerity and those who reject it remains unresolved. This is evident among the long-suffering populace of Greece, Spain, Italy and Portugal but also in the tug-of-war between Germany’s Angela Merkel and ECB President Mario Draghi, whose plans for quantitative easing are still met with scepticism and fear among those who have been steering us out of the dangerous waters of financial crisis, economic recession and default collapse. Or have they? The drive to balance public books through a combination of government spending cuts and higher taxes has not led to any significant growth. As many of Europe’s leading economies post anaemic growth figures and unemployment in the euro zone rises to beyond 11% on average, the call for a different approach is growing. With demand woefully weak, oil prices at their lowest level in many years and deflation rearing its much-feared head, France, in particular, believes growth cannot be rekindled through intense short-term austerity. Like many other countries on the continent, it has not been able to break through the pain barrier of true economic and public sector restructuring, and therefore proposes to restart the euro zone economies through large public investments reminiscent of Roosevelt’s New Deal. Amid all of this we have to remind ourselves that the recession started all the way back in 2008, so it is only natural that people are growing impatient and looking for new solutions. It is a process that has also given rise to populist movements such as newly elected Syriza in Greece and the high-flying Podemos movement in Spain. Both build their popularity on public discontent with cutbacks and make promises that, while appealing to the masses, provide no guarantees in solving economic issues. In the meantime, the fact that Spain posted decent growth of 1.4% in 2014 and is expected to lead euro zone growth in 2015 shows it is bouncing back economically, and this might ultimately reduce the need for a protest vote. Though a large portion of the Spanish population has not felt its benefits yet, the national economy has been consolidating its growth for some time now. Unemployment is dropping, business start-ups are increasing, tax revenue is growing and the government has promised tax cuts to provide further incentives for growth. What’s more, the Spanish banking system has stabilised, evidence of which was its strong performance during the European Stress Test held in the latter part of 2014. As a result, mortgage lending – so vital to domestic homebuyers – is gradually returning too, though for the time being the main beneficiaries will be foreign buyers and investors, as it will take some time before the domestic market returns to strength. Note 1: Slight increase in property purchases by foreigners between 2013 and 2014. Note 2: Top 8 Nationality mix remains the same. The return to health of the banking system is also mirrored in the return of home financing, with over 14,500 mortgages agreed in November 2014 – a 14.2% increase over the previous month. Andalucía and the Canary Islands led this movement, registering surges of 25% and 26% respectively. Moreover, figures released by the Spanish National Statistics Office (INE), indicate that the typical interest rate dropped from 4.21% to 3.29% in 2014. This combination of growing demand, greater availability of financing and improved lending conditions will continue to drive property sales. According to the Ministry of Public Works, there was a 21.6% increase in property sales during 2014 over the previous year, which represents the highest increase since 2004 with a total of 365,594 property sales. However we must take into account that during the last quarter of 2014, the SAREB had to dispose of a significant part of its stock. All in all, these factors are pointing towards renewed interest and confidence in Spain, and its mid- to longer-term prospects for growth and development. Combined with attractive prices, this has led to a truly impressive rise in investment in Spanish commercial and real estate assets that range from office and retail space to hotels, resorts and developments. In fact, such was the inflow of capital invested in especially Madrid and Barcelona commercial real estate assets over 2014 that the total of €2.7 billion spent represents an all-time record. Not bad for a country that not so long ago was still financially ‘untouchable’, and while the uncertainties surrounding Spain’s political course may curb this spending spree somewhat in 2015, the trend has been firmly set among important British, Swiss, French, American, Arabic and also Spanish investors. The return of large US investment funds to the Spanish market has been particularly noted, and though the bulk of this kind of activity is focused on large urban centres such as Madrid and Barcelona, the Costa del Sol has seen its share of large-scale asset purchases. These range from the acquisition of Sotogrande S.A. by US-based Cerberus and developments to the east and west of Marbella by other American funds, as well as the purchase of the Monte Mayor golf club by Russian investors, to give just a few examples. They are now investing heavily in new infrastructure and beautification programmes, a process that benefits surrounding areas and raises the value of adjacent properties. In this regard we should note the important role that the local and provincial administrations play in facilitating the flow of investment into the area that should be enhanced by efforts on the part of national government to provide greater tax incentives to investors too. Protected by its economic microclimate, Marbella has been largely sheltered from the factors affecting Spain and Europe. Yes, Spanish buyers are yet to return in any numbers and the political volatility surrounding the Ukraine has slowed down home purchases among Russian buyers, but the region has continued to build upon the recovery that set in at the beginning of 2013. Strong demand from an increasingly diversified client base of Scandinavian, Benelux, French, Arabian and Moroccan homebuyers adds to record tourist numbers to lend a certain buoyancy to the local economy – and as financing returns to the market it will stimulate interest further down the socio-economic pyramid too. The indices continue to point in the right direction, with the growing number of real estate agents being the truest reflection that enquiries and property sales are growing. 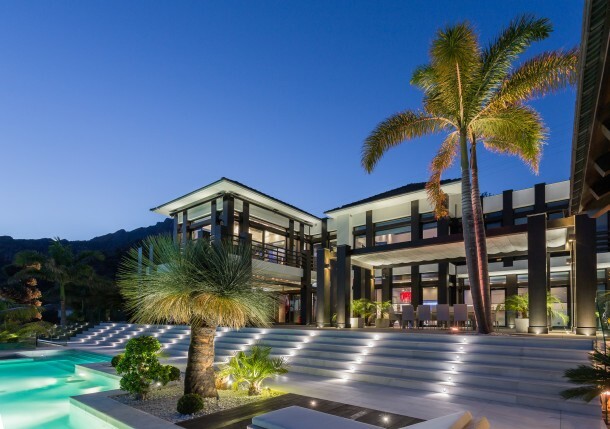 The latter is empirically reflected in the official statistics released by the Ministry of Public Works, whose figures for 2014 reveal a 27.7% increase in property transactions in the municipalities of Marbella, Estepona and Benahavis and the expectations are for this to continue in 2015. Where property prices bottomed out on a national level last year, in Marbella there was a slow but marked increase in the most in-demand areas. Slowly but surely, this process is trickling outwards and will become a general trend to rekindle the market in Estepona, Calahonda, Mijas and even as far as Fuengirola, Benalmádena and Sabinillas. Marbella, however, remains the shining star of this region’s property market. It is here that the amount of time properties spend on the market is dropping if realistically priced, while in some prime beachfront locations there is even a shortage of available homes, complete with waiting lists for specific property types. Combined with the fact that few bank repossessions remain, this has prompted the return of construction that remains for the moment primarily focused on individual villas and small to medium-sized developments of apartments and villa communities. The latter naturally feature the current clean, white style trend and latest technologies features, and the sales success of recent off-plan projects indicates not just that there is a strong demand for such real estate in Marbella, but also that sufficient confidence has returned in its property market for people to buy before building has commenced. Demand for rentals – both holiday and long-term – is strong too, particularly so in the mid-higher end, where prices start at €1,500 per week during the high season. Again, modern luxuries and classic top locations with sea views are most sought after, and today’s luxury rental client demands the very best amenities and comforts. The new laws applicable to short term lets should raise the bar of professionalism in the holiday rentals market further, and any investments required to comply with the upgraded list of standard amenities should gradually be offset by rising rental returns. The gradual disappearance of bank repossessions from the market and the slowly growing stock of new homes will begin to shift the balance back from re-sales to new-builds, as well as push prices upwards. For the coming year, therefore, we foresee continued growth, gentle upward pressure on prices, a gradual increase in the launch of new developments and the emergence of areas such as Nueva Alcántara and Marbella East as new property hotspots. In contrast to a few years ago, when the market consisted primarily of bargain hunters enticed by low prices and investment opportunities, today’s homebuyer in Marbella is more of an end-user attracted above all by the properties and lifestyle of this region, but therefore also more demanding of the end-product itself. Having extensively informed themselves online, such buyers are knowledgeable, price-savvy and keen to find properties that offer the latest styles and luxuries. In so doing they are helping to give shape to a new generation of architectural styling and amenities in Marbella homes. The so-called Golden Visa, which offers residency to property buyers from outside the European Union that invest €500,000 or more, has not had a major impact on Marbella, yet the recent rise of the pound against the euro has. It coincides with renewed interest from British buyers, and should see this traditionally biggest market for Costa del Sol real estate grow significantly and retake its prime position in 2015. In fact, it should be one of the factors driving property sales in the coming year. In the wake of it all, new businesses are opening, there is an influx of new residents and homeowners, private schools are well filled and Marbella has regained much of its upbeat, can-do ambience. On-going infrastructural and beautification projects are adding to the aesthetics, functionality and capacity of this region, ranging from the new boulevard park in San Pedro to the urban revitalisation of Estepona, the modernising of public areas in Marbella and the extension of the coastal pathway. Future plans include new pedestrian walkways, a coastal railway line, the renewal of older urban stock and perhaps even the much-vaunted new marina and cruise terminal – though to maintain the momentum the authorities will have to continue to invest in new parking, access facilities, recreational zones and technical infrastructure. Seen from a macroeconomic perspective, it is fair to say that Marbella in particular is well into the early years of a new growth phase. What’s more, for this region most of the indicators are positive, giving homebuyers and investors the confidence to commit and make the most of a rare moment when attractive prices collude with strong growth potential to make this an excellent investment environment. If the national economy continues to make progress, domestic buyers will return to the Costa del Sol, and if the local market continues to develop as it is right now the current upturn will certainly mature into a clearly visible growth cycle. The implications for growth and development are clear, and as this has become an increasingly mature market in which land is largely consolidated, there must be an even greater shift from breaking virgin soil to urban renewal and land infill, and even more importantly: from quantity to quality. In the year that should see construction and real estate contribute to national economic growth for the first time since the financial crisis began, Marbella has an opportunity to lay the foundations for its prosperity in the coming years – for how we develop now will determine our progress during the current growth cycle and beyond. 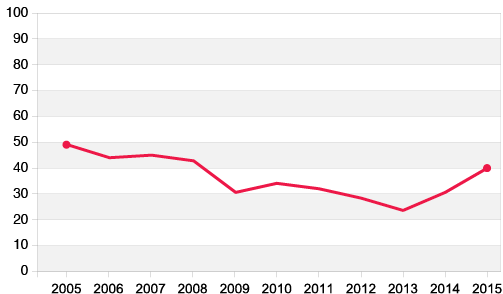 Source: Ministry of Public Works by year/municipality from 2004 to 2014. *Note an increase of 27.7% in property sales during 2014 in comparison to previous year in the three municipalities. Diana Morales Properties enjoys an enviable position in the Marbella real estate market built on many years of experience and success in the luxury segment. As a specialist in this field, the company’s reputation is built on quality and integrity, two of the founding pillars of DM Properties that continue to make up its core philosophy. The firm combines local market knowledge with an international reach, as well as harmonising old-fashioned values and ethics with a fully up to date understanding of modern markets, consumer behaviour and Internet-based marketing tools. The combination of these factors makes DM Properties a leader in the Marbella luxury real estate market, ensuring it represents many of the most serious property buyers and investors in the region as well as being instructed to market and sell the finest homes available.